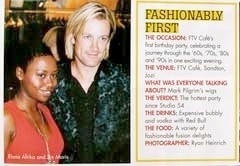 "ELANA SING SAAM MET IKE"
SA's indie idol Ike Moriz visited the FASHION TV CAFE 'ONE YEAR ANNIVERSARY' party in Sandton on 2.12.06 with his friend Elana Afrika (DJ from SA radio station KFM). years ago was, in fact, because of the sound. "Besides all the heavy metal, I was just sick of hearing good bands play cover songs. They were much better than that,"says the Capetonian who lived in London for five years but now calls Jozi home. he says, as his eyes widen: "It was traumatic, the students seemed to have no respect for anybody and I had trouble keeping them under control." Needless to say he was only too happy to swap the blackboard for a studio booth. 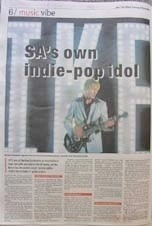 The crooner produces all of his own music and hopes to work with quite a few of SA's top musicians on future projects. He is keen on collaborating with kwaito kid Brickz and has been in talks with Fokofpolisiekar to go into studio together. Speaking of the latter, Ike joked about how cool it would be to have him sing in Afrikaans while Fokofpolisiekar (attempt to) sing in English. This multi-faceted entertainer plays the piano, the guitar and the keyboard. He also shot videos for Play Me and I Feel Real, off the current album, in SA. 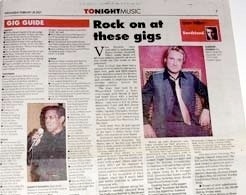 But it seems he is somewhat ambivalent about South African music, particularly the Cape Town scene. "I've noticed that they (the musicians) have become a lot more authentic, a lot more open nowadays, a lot more meaningful, but most are still clueless," he pauses and thinks for a moment. Cautiously he continues. "Maybe that's not the right word, they're (the musicians) sometimes just not interested in music. "Just how the South African public with buying power will receive the return of the "prodigal son" remains to be seen. But from where I'm sitting it seems as if Play Me has the potential to end up on repeat. It’s the first single from his second album and “Play Me” has become a hit of its own glamourous accord. 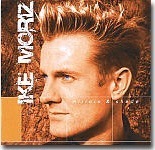 Ike Moriz too SA by the horns with his second album. 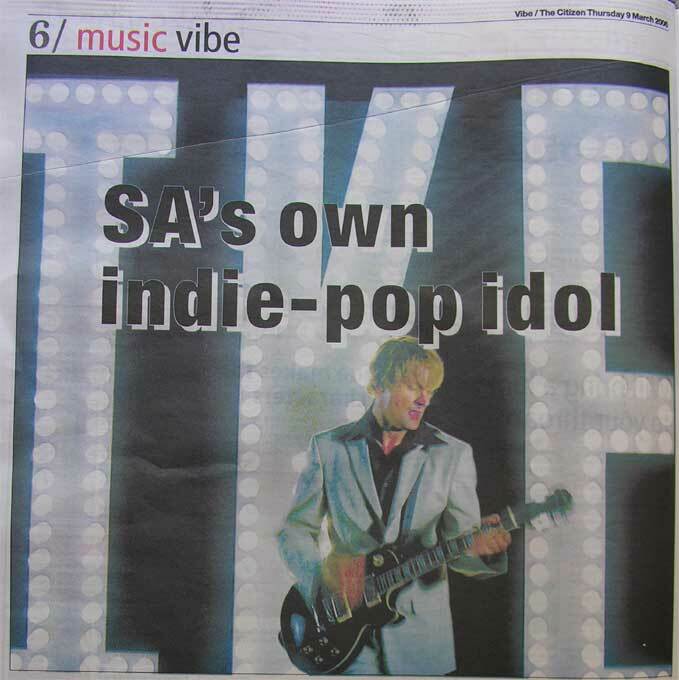 The South African indie pop star released the first single off it called “Play Me”, which got major airplay both locally and internationally. 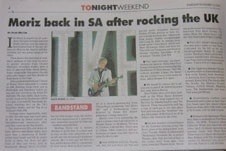 After five years in London he had returned to South Africa to promote and launch the new album as well as perform for his fans. His new single has received positive response. You can decide for yourself. Both Ike's looks and sound are gorgeous! 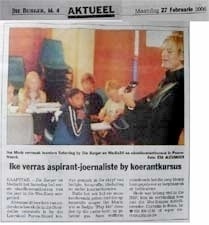 african pop star! Awesome. I'll support him! Nina says: What a fantastic sound! live now and heard his songs on the radio. now (I feel real). It's totally awesome!! Suzan says: WOW, This is brilliant!! top5 South African singers of the moment. "There is a rumour in the air that Cape Town music is about to ignite a fuse that will send SA music into orbit. It's a music explosion not seen (or heard) for at least a decade. "Cape Town's CD launches continue with Ike Moriz and Madame Afrique. Moriz has been dubbed "South Africa's indie idol", and rightly so. Moriz cut his teeth on local music and drama productions and then headed to London where he signed to Mosquito Records. He launches a Tarantinoesque video for his new single, I Feel Real (Friday, Opium, 6 Dixon Street, De Waterkant, Greenpoint, Cape Town, R50, 10pm)." 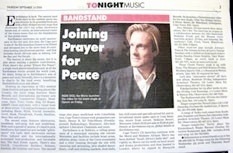 "HIS ROCK/INDIE SOUND IS ACVOUSTIC & EDGY BUT STILL MADE FOR EASY LISTENING!" "THIS DUDE WEARS HIS INFLUENCES WITH ABOUT AS MUCH SUBTLETY AS A MAN WEARING ONE OF THOSE HATS YOU CAN DRINK BEER FROM. WHICH IS NOT A BAD THING IF YOU LIKE BEER. OR RATHER, IF YOU LIKE YOUR INDIE POP WITH LARGE DOSES OF SEVENTIES BOWIE VIA NINETIES SUEDE YOU`LL DIG THIS. IKE HAILS FROM THE CAPE BUT HAS SPENT TIME IN THE UK PERFECTING HIS BRITTISH ACCENT AND POP SENSIBILITIES. HE ALSO ACQUIRED A TASTE FOR EYELINER, BUT DON`T LET THAT PUT YOU OFF, THIS CAT WRITES A FINE TUNE. LISTEN TO IT WHEN WEARING VELVET AND DRINKING MARTINIS! TRACKS TO DOWNLOAD – PLAY ME, LIGHT IS DARK AND THE SAD SONGS." He has been described as “Bowie without the glam meets Oasis without the self-importance teamed with UK chart alternative without the boredom”. However, Moriz confides that while the constant comparisons with Bowie are flattering, they do get a bit tiresome. After all, it’s natural for every artist to want to be defined in terms of his or her own style and not be known as a pastiche of others, but most people, it seems, feel the need to fit new musical endeavours into their frame of reference. Nonetheless, if you’re going to be compared to anyone, The Thin White Duke himself is not a bad place to start... And Bowie himself once voted Moriz’s song You Could single of the week on his website – quite an endorsement. 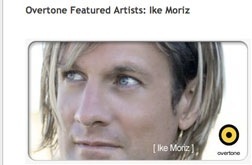 So who exactly is Ike Moriz? Blonde, blue-eyed and distinctly Scandinavian-looking, Moriz is truly a citizen of the world. Thanks to his parents, he had a jet-setting childhood, and was fortunate enough to study music in South Africa, Germany and the Netherlands.As a child, he was “an early Shakin’ Stevens fan” (brave of him to admit that) and also listened to the Eurythmics, Bowie, Lou Reed, Iggy Pop, Velvet Underground and the Talking Heads, shaping, no doubt, his affinity for indie pop/rock with a distinctly English flavour. After completing his studies, he decided to try his luck in London’s cut-throat music scene. “I’d always wanted to see what London was like, considering that musicians like Suede, Pulp and Blur built their careers there. I wanted to see where that feeling in their music stemmed from. And I love Monty Python, and I wanted to see where the British acting world got their inspiration from.“But when I got there, it was actually very different to what I expected. Some Londoners are very rough, and it’s very expensive to live there. I managed to fit in there musically – people there have always liked my music – but there’s a lot of competition. But it wasn’t as difficult as I thought it would be.”Seemingly born under a lucky star, early on Moriz met up with George Michael’s and Marc Almond’s producer Steve Kent, who put him in touch with a great set of session musicians who were into the same music as he was, and he ended up doing both albums with them.He also did some work on movie sets, playing small parts in movies such as Alfie, Bridget Jones’s Diary 2 and Love, Actually, as well as playing a body double in Wimbledon. Having achieved some success and acclaim in 17 countries with his first three singles, though, he became thoroughly homesick and has returned to South Africa.“I’ve had enough of London,” he says. “It was fun and I learned a lot, but I think I’ve learned what I had to learn. I’m most at home in Cape Town. It was an emotional decision to return to South Africa – it felt like the right thing to do.” His plans are to focus on establishing himself in South Africa and continue running his own label, as well as doing some acting on the side. However, he reluctantly admits that he may have to keep up his profile overseas as well. “I just don’t wanna go,” he says mock-petulantly. He is currently working on the video for a song called I Feel Real.Moriz will be playing with The Parlotones tonight, and says that he is gratified to hear how “authentic” South African bands are sounding. “They’re not necessarily trying to sound American any more. Kwaito artists aren’t rapping about corvettes in LA, which they know nothing about, but about their own stuff. 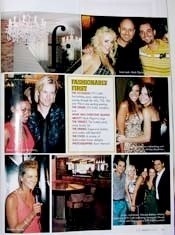 It’s more interesting.”What can locals expect from his live show? “A very high-energy, theatrical experience” Bowie would be pleased...* Visit www.ikemoriz.com for more information. "... Most of the songs are put together with a bare-bones backing which provides a somewhat jerky backdrop that echoes early 1970s Brit bands - This is Moriz's second studio album with Mosquito Records, recorded after his Mirrors and Shade tour last April, and it perfectly captures his Bowie-esque leanings." IKE Moriz is a South African who has spent the last few years living in the UK and this change of environment seems to have influenced his musical style on the album Play Me (Mosquito Records). The title-track is an up tempo song similar to Franz Ferdinand or Kaiser Chiefs, while Hey, Hey-hey, Hey has an early ?90s Brit pop feel.His vocal style at times sounds like David Bowie, although at others it could remind listeners of Prefab Sprout's Paddy McAloon.The result is quite a diverse album, which is highly recommended. "Ike Moriz is something of a paradox: he's part German and part South African, and the unsentimental precision of the one surfaces as often as the slightly self-deprecting, yet easy-going nature of the other. Then there's this business of making it overseas in less than 6 years to garner interest from George Michael's recording studio, earn a nod of approval from David Bowie, boast respectable European live-gig and radio impact and then decide to head home to the Cape. After graduating from our College of Music, Moriz relocated to London in 1999, fronting bands there and in Rotterdam and Hamburg before going solo and recording his debut EP, Fall Into the Sun (2002). 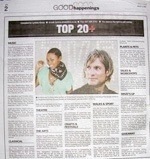 Back home,its title track hit Stellenbosch's MFM No1 spot. A second EP, You Could, followed, reaching No.1 on the UK's Matchbox Radio, and the Top10 on Holland's Halo FM. Perhaps more importantly, early in 2003, the title song was voted Song of the Week by Bowie himself on DavidBowie.net. Impressive after only four years in the Big Smoke. His sophomore EPs and debut album, Mirrors and Shade (2004), have more than a smattering of Bowie-styled vocal bends, and left of center lyrics in them, but there are also hints of Blur and Oasis. And, to Bandstand, though Moriz certainly has his own unique style, the earlier work has suggestions of a somewhat sane, somewhat sanguine Syd Barrett - another contradiction. Meeting Moriz, one is unsure whether to guide him to a chair and go easy on the radio interview, or be on full alert for an industry-hardened veteran. He's a nice guy, but he's no fool, and he knows there's a mountain of work ahead. Making that road easier is a launch-sponsorship from Chivas Regal, promoting "the Chivas life" and a forthcoming video directed by Johan Nel (Fokofpoliesikar's image maestro). Moriz's new CD is called Play Me and it is being launched tomorrow at Rhodes House at 60 Queen Victoria Street, Gardens. ... Doors open at 9.30pm, video screening and performance at 10pm. Cost: R50. 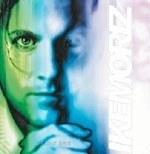 More on www.ikemoriz.com"
"International rock musician Ike Moriz will spills theatrical, edgy pop into Rhodes House at the "Play Me" CD launch on Friday November 11. Based in London since 1999, Moriz has returned to his home in South Africa with a new drive and energy that springs from his exposure to many different countries and life on the road. 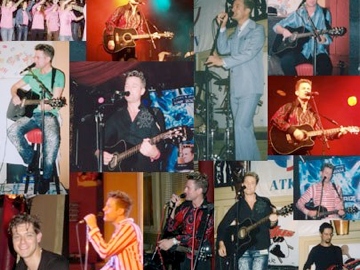 Moriz has been described as 'Bowie without the glam meets Oasis without the self-importance, teamed with UK chart 'alternative' without the boredom'. Moriz is back with a new 8-track CD: the title track "Play Me"opens softly with "Hey, hey-hey, hey", and picks up tempo with heavier rock guitar in parts. Other tracks include the dark decadent pop of "Visionary" and the epic and grand Bowie-esque piano ballad "Another Day". Previous worldwide hit singles have included "Fall Into the Sun" and "You Could", which topped charts from the SA Top Ten, Matchbox Radio 24 chart to Halo Radio in The Netherlands. "You Could" was voted "Song of the Week" by Bowie himself in 2004. 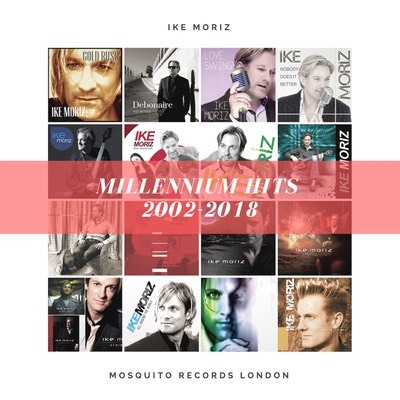 Moriz's songs were also featured on over 100 radio stations worldwide and put Ike on the map as a leading Indie pop star. 'All together an album well worth the wait that lives in a decadent, emotional, dramatic and almost theatrical world,' said Dale Olivier of Matchbox Radio 24 in the UK. This scorching internationol rock session opens its doors at Rhodes House on Queen Victoria Street on Friday November 11 at 10pm ... "
chart 'alternative' without the boredom..."
on Monday,18.10.05 on the SA music explosion. 21h00-21h30. Rock on!" which slows things down and is one of those typical slow... well... sad songs... The piano in the song really sets a great atmosphere. Can one refer to a gig as being romantic? Well, I just did! It was initially the setting with the low lighting and candles ... and then it was the presence of Ike, a single person that held his own on stage. to someone else all the time when you're writing your own original material, even though everyone has their, what you might call, 'musical influences'. He then ironically sang a Bowie cover and I saw what the critics meant! He sounds a lot like him! I loved every song he played; `Drowning` I had listened to on a website earlier in the day and was thrilled when he sang that second - it’s a great song. I was sorry to see the set come to an end and was sorry to have the cat leave my lap where it had been sitting all evening - Acoustic Café is a truly classic place! Ike deserves all the international acclaim he gets and will hopefully be more recognised on the local scene as well. I would have to agree with "he’s like Bowie without the glam meets Oasis without the self-importance teamed with UK chart 'alternative' without the boredom." "... A voice as melodic as Lennon and as cool as David Bowie… arrangements full of hooky choruses and dark theatrical pop… highly recommended, buy the album!" circuit every night is extremely difficult, he admits. ?Due to the internet and all that big labels also haven’t got the money they used to have. They tend to only go with the sure bets and the Pop Idols. "It’s a pity, says Moriz. "There’s so much talent out there – just go to Camden and see. Then you turn on the radio and you think: ‘what’s going on here?’." It’s this amazing wealth of acting and music talent that attracted Moriz to the UK in the first place, as well as the fact that South African music seemed to be going nowhere at the time. " When I left Cape Town the music scene over there was pretty dark. It was all ‘local is lekker stuff’. Now it is very different. There is a new breed of South African music coming up – interesting and very different." His own music Moriz describes first and foremost as "interesting", secondly as "edgy pop". " People say it sounds a lot like Bowie or Morrissey." 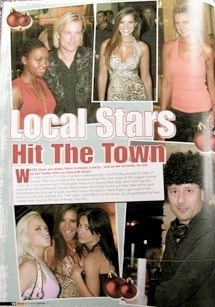 Ike’s first single, Fall into the Sun, has received wide radio play and high acclaim in South Africa. 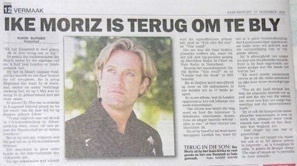 So much so that Moriz has been inspired to return to his home country for a tour. " I’ll go wherever people want to hear my music,"says Moriz. "If things pick up in South Africa, I wouldn’t mind going back there for good. I miss the quality of life there.? Moriz recently recorded hisdebut album Mirrors and Shade here in the UK. 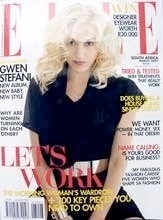 It is available at www.ikemoriz.com as well as at www.oneworld.co.za." building up his musical talent until now with the release of his debut album `Mirrors and Shade`. Ike's style is unique, but extremely familiar, sounding like a cross between David Bowie and Suede. His band consists of several musicians who've worked with Ike for a while, including Jim Barnes on guitars..."
his work (or cover it), but rather release a pleasing sound unique to Ike. good track, laced with familiarity..."
for future work from Ike Moriz, I think it's going to get even better!" "...I was hooked right away!" "It just ripped my heart out!" from us to Ike and his team !!! After much anticipation and hard work the debut album " Mirrors and Shade" from IKE MORIZ has landed on planet earth. 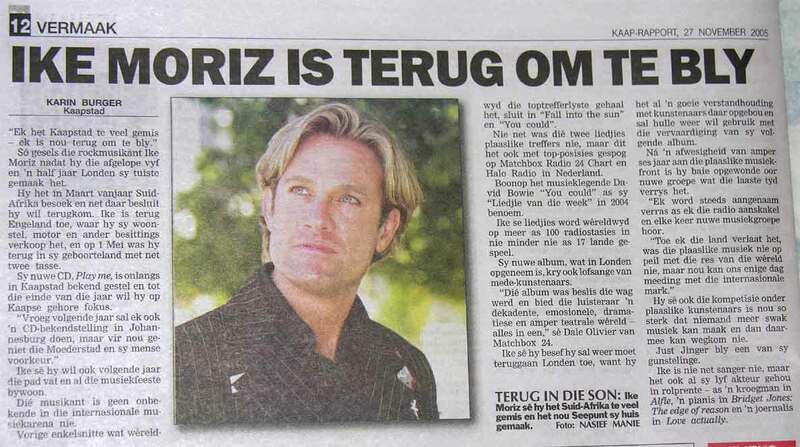 Featuring the worldwide hit singles "Fall into the Sun" and "You Could" that topped many charts from The SA Top Ten, Matchbox Radio 24 Chart to Halo Radio in The Netherlands. "You Could" was actually voted as "Song of the Week" by Bowie himself. 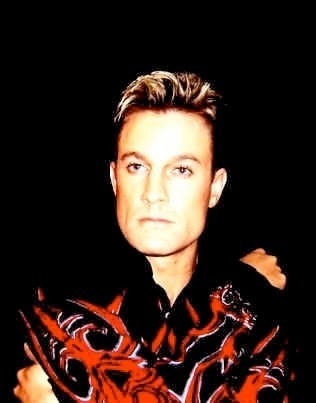 The songs were also featured on over 100 Radio stations worldwide and put Ike on the map as a bonafide Indie pop star. This album features 11 tracks of pure emotional glamour pop. The new single and title track " Mirrors and Shade"
UK SKY TV for millions to see is an incredible pop ballad that is cleverly crafted and extremely melodic. It is the song Suede were always looking for. Moriz was recently described as "Better than Bowie himself" by Island FM. Other tracks include the dark decadent pop of "Visionary" and the epic and grand Bowie-esq piano ballad "Another Day". Ike also recently starred in "Bridget Jones 2" playing and singing the piano. All together well worth the wait and a superb album that lives in a decadent, emotional, dramatic almost theatrical world. Proper emotional melodic pop with a shiny surface and a huge anthemic mood. always liked, but I think I prefer this new version even more. because the other stuff was very "single" oriented to begin with. from having a common theme or thread that ties it all together. or pretentious; instantly memorable leaving you wanting more. So now we know where David Bowie gained his influence from!" David Bowie voted YOU COULD "SONG OF THE WEEK"
live-version of Ike's STILL "SONG OF THE WEEK" (11.3.03)!! recently voted for best song by Davidbowie.com. He delivers a poppy, radio friendly song with lots of Suede/Bowie esq. glamour and hit potential. released by Mosquito Records & Matchbox Recordings London. 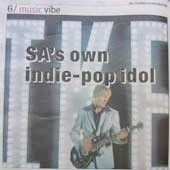 With this new release Ike shows that he' s very capable of writing catchy pop tunes. The title song YOU COULD is a relaxed pop song with a nice melody to it. Ike's vocals on this song are very strong. We think this song has hit potential !!! really kicks ... Our favourite song on this CD is DROWNING. Mushroom Records is all about sixties orientated music. is a winner ! We can' t wait for the next release. 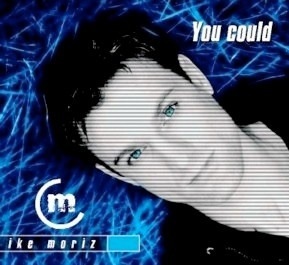 "You Could is the second single in recent times from Ike Moriz. and David Bowie. 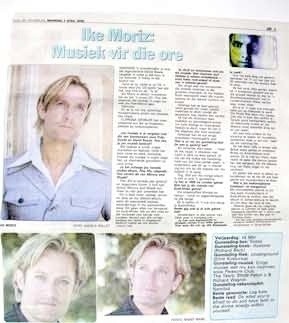 The power of Moriz's voice and his ability to hit just the right notes are the outstanding features (...)." least 4 times a day!" certainly play your song on our show (...) I'm very enthusiastic and I can't wait to hear your latest single You Could!" "The single is great and the other tracks sound great as well. I would love to hear more of your stuff"
"We will start playing it come this weekend ... good effort!!" "Your single certainly sounds impressive..."
"The music is wonderful and we will certainly play it on our radio!" refreshing as they are different to the normal "run of the mill"
stuff that's coming out now." we think that "Fall into the Sun" is a great tune. song on the single but he thought that it was over all "pretty amazing!" remind me somewhat of David Bowie and Suede. Normally I don't like to put a label on music or try to compare artists with each other, but these are not the least ones to be compared with." "Good single,..., nice one! ... It'll be on rotation for a good while yet." Staying in true English guitar pop mode we move onto a very new and fast rising star IKE MORIZ (originally from Cape Town/SA). This enigmatic solo artist delivers the bright and poppy classic "Fall into the sun". This song was recorded with Steve Kent who has in the past worked with George Michael ( yes from Wham). This song is not Club Tropicana but a very poppy and especially catchy song reminiscent of Ike's hero Bowie and a bit like Suede vocally also. Saying that the main strength to this song is the unstoppable and extremely catchy and warm chorus. This very well produced song also comes packed with everything from a string section on the chorus to dreamy shimmering guitars and falsetto Brett Anderson could never have reached . It also boasts a very uplifting feeling and once you've heard it once you will never forget it. "Fall into the sun' sounds great"
"Full of energy and potential; Ike's latest single, 'Fall into the sun,' is definitely worth a listen." "I had a listen and was pleasantly surprised!" "I always love music with a strong piano presence (Another Day = favorite) and coupled with the strong and emotional voice your songs fit into my wide appreciation of great music! Well done!" comes to learn himself, and I look forward to hearing the debut LP. You can check out a trimmed mp3 of the title cut by clicking here. from his diverse musical experiences, fronting bands in Cape Town, Rotterdam and Hamburg, usually performing his own material. This EP features the title track " Fall into the sun" with it's extremely catchy and bright chorus and Bowie/Suede esq. feel. Expect loads of falsetto and heartfelt vocals and lyrics from this new class A entertainer. For full track listing click above. "We enjoyed it - a pretty nice and typical Brit-Pop London Sound. Maybe Your Song 'Fall into the Sun' will find the way into the charts - we believe in it." "I love it, ... it sounds great!"